From DNA sequences stored on computer databases to archived forensic samples and biomedical records, bioinformation comes in many forms. Its unique provenance the fact that it is 'mined' from the very fabric of the human body makes it a mercurial resource; one that no one seemingly owns, but in which many have deeply vested interests. Who has the right to exploit and benefit from bioinformation? The individual or community from whom it was derived? The scientists and technicians who make its extraction both possible and meaningful or the commercial and political interests which fund this work? Who is excluded or even at risk from its commercialisation? And what threats and opportunities might the generation of 'Big Bioinformational Data' raise? 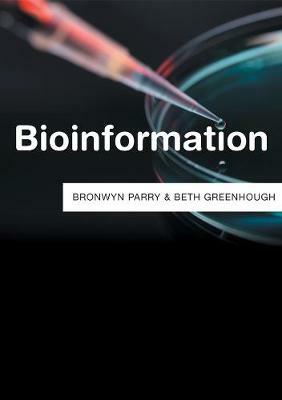 In this groundbreaking book, authors Bronwyn Parry and Beth Greenhough explore the complex economic, social and political questions arising from the creation and use of bioinformation. Drawing on a range of highly topical cases, including the commercialization of human sequence data; the forensic use of retained bioinformation; biobanking and genealogical research, they show how demand for this resource has grown significantly driving a burgeoning but often highly controversial global economy in bioinformation. But, they argue, change is afoot as new models emerge that challenge the ethos of privatisation by creating instead a dynamic open source 'bioinformational commons' available for all future generations. "Data sciences and life sciences are deeply intertwined and bio information enjoys all the leverage and easy circulation of other kinds of data. Yet bio information is never quite disentangled from its donors, the real human lives that make it meaningful. This study is an invaluable guide to the vicissitudes of living data in all their social complexity." "Bronwyn Parry and Beth Greenhough's Bioinformation is a brief yet rich tour of a dynamic, complex field, following the winding paths that connect databases to the hopes and rights of the people and communities from whose bodies the information was drawn." "Bioinformation offers an interesting, readable introduction to its subject matter, while suggesting promising avenues that future research might explore"
"This slim but informative book describes the sources of what the authors call "bioinformation" and the current and possible future beneficial uses of such data, ..."